Just need a simple and secure protection for your iPod touch 5G? 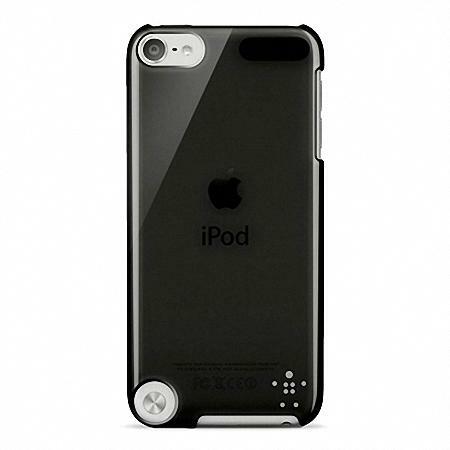 Take a look at Belkin’s Shield Sheer, maybe the iPod touch 5G case can meet your requirements. Belkin Shield Sheer is a one-piece, form-fitting protective case designed for iPod touch 5G. As we can see from the images, the iPod touch 5G case features simple and practical design along with transparent tint and high-shine gloss, and is made from polycarbonate plastic in order to protect your iPod touch 5G from bumps and scratches. Most importantly, the iPod touch case features a big cutout for the loop keeper in order that you can easily apply the loop to your iPod touch without any obstacle. Apart from that, other cutouts allow you access to all the buttons and functions of your iPod touch 5G. The Shield Sheer iPod touch 5G case is available in 6 colors, each one is priced at $19.99 USD. If you’re interested, jump to Belkin official site for more details. Additionally, if you need other options, you might like to check Microshield Stand iPod touch 5G case and more via “iPod touch 5G” tag.